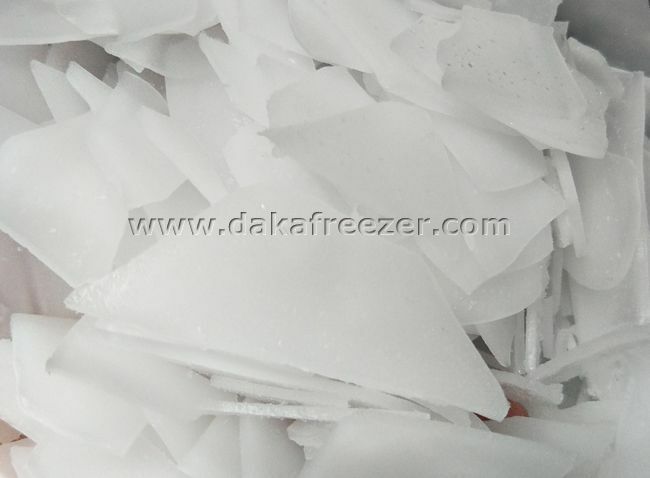 First, the maintenance and cleaning of the unit of Flake Ice Machine 3T: mainly including whether the compressor is on or off frequently; whether the operation has abnormal noise; whether the compressor running high and low pressure is normal; whether the compressor running current is normal; whether the condensing fan motor has vibration; Clean up, do not pile up debris, hinder heat dissipation. Second, the condenser is cleaned regularly, and the filter of the condenser. The condenser is used once a year (2-3) times for 1-2 months. Third, regular cleaning and descaling of the inlet pipe, water storage tank, storage refrigerator and baffle of the Flake Ice Machine Aquatic Processing. Basically once a quarter, cleaning the storage refrigerator at the same time, to clear the sewage drain in the storage refrigerator; regularly replace the water inlet filter of the ice machine, the small water will affect the efficiency of ice making; Descaling, uneven water ingress will result in different sizes of ice; periodically check whether the temperature control probe in the refrigerator is normal; regularly remove the scale from the ice sensor; check whether the cover of the refrigerator is sealed. Daily maintenance can not be ignored, it is very important to properly maintain the ice tea shop ice machine, which can effectively extend the service life and ice making effect of the tea shop ice machine.